We all have a million stresses in our lives that comes with being a parent, being the child of aging parents, working in a corporate environment, sitting in traffic and juggling the world. All of this causes tremendous taxation on the body and emotions. There were days that I would have butterflies in my stomach – dreading the day in front of me. But after finding ways to support the endocannabinoid system, I have achieved more efficacy to my days — not to mention, serenity and joy. Let’s delve into what the endocannabinoid system, how it works and what we can do to enhance its miraculous functions. The endocannabinoid system (ECS) was discovered 25 years ago — and is one of the most crucial human organ systems in our body (alongside the circulatory, respiratory, urinary, reproductive, skeletal, muscular, nervous, endocrine, lymphatic, and digestive systems). The endocannabinoid system promotes biological balance in every cell, tissue and organ supporting the brain, immune, nervous and overall health and wellness. Imbalances in the endocannabinoid system have been shown to be directly connected to a large list of diseases including fibromyalgia, chronic fatigue syndrome, migraines, IBS, PMS as well as psychiatric conditions. A healthy ECS is crucial for maintaining its system’s optimal function. 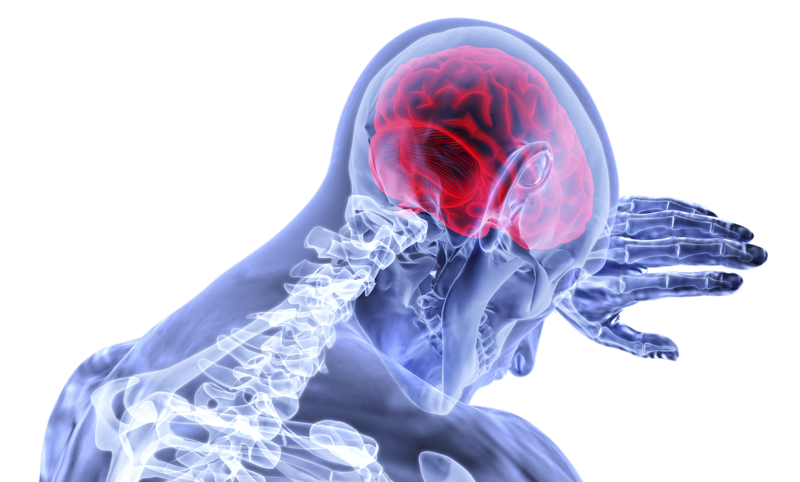 Whether Clinical Endocannabinoid Deficiency Syndrome (CEDS) is due to environmental toxins, drug abuse of a lack of a healthy diet and lifestyle, the endocannabinoid deficits are associated with the inability to cope with stress. So how do you avoid this? You boost the ECS by healthy lifestyle choices (diet, exercise) and supplements. Consuming Omega-3 fatty acids (good fats) is crucial. These fats cannot be produced in the body, so they must come from diet. Examples are walnuts, salmon, flaxseed/flaxseed oil, avocado, etc. Olive oil and Omega-3s from fish oils are particularly great to enhance brain and body levels of endocannabinoids. Job stresses, traffic, financial stress, family quarrels – these all affect our ECS. It’s crucial that we start implementing stress-reducing coping mechanisms – whether it’s just brushing things off, promoting a positive attitude, meditation/yoga or stress-reducing activities and supplements. I have started taking three different Emerald Health supplements to up my ECS. Endo Bliss, Endo Calm and Endo Brain. They have done miracles to my stress levels – and they provide me with the secret tool to confront negative people, zero-sum type co-workers, and overall societal stress. This is the first ECS boosting product I tried. I discovered it in my New Hope Network Blogger Box and I’ve been addicted to it since. This activates your ECS which allows you to promote positive outlooks, resist negative ones — and put you in a happy mood. In sum, it boosts your homeostasis so you’re ready to get on with your day. 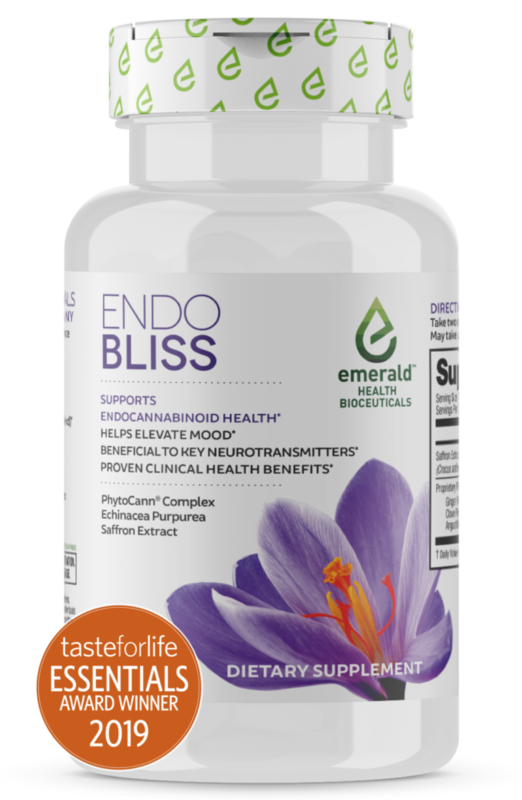 Because I loved the Endo Bliss so much, I delved into what else Emerald Health Bioceuticals made. 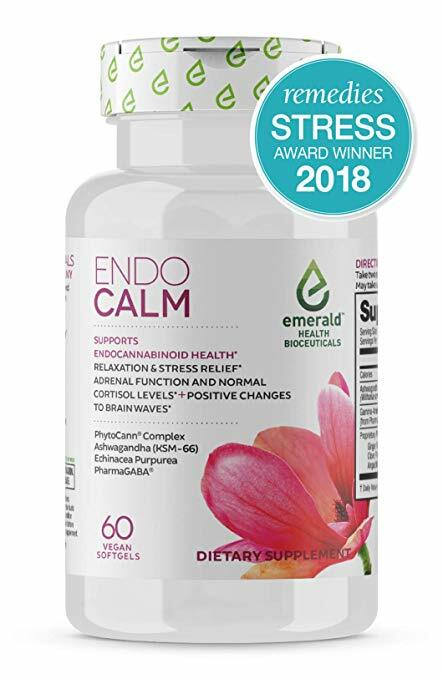 Endo Calm does wonders. It supports your response to stress, it supports normal cortisol levels and gives you greater mental energy. 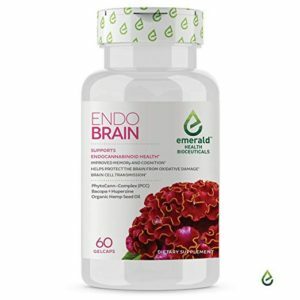 Endo Brain supports mental acuity and cognition by upping your ECS which influences your memory and brain cell transmission. On top of that, Endo Brain protects the brain from oxidative damage. Also, these supplements are especially crucial to pop in on those Monday mornings! + It’s critical to support your ECS in any way you can! As we know now, the ECS is just as important as your respiratory, digestive and circulatory systems. So, up your fats, get your steps in, up your calm, up your brain and up your bliss! Have a great week everyone — and thanks for reading!